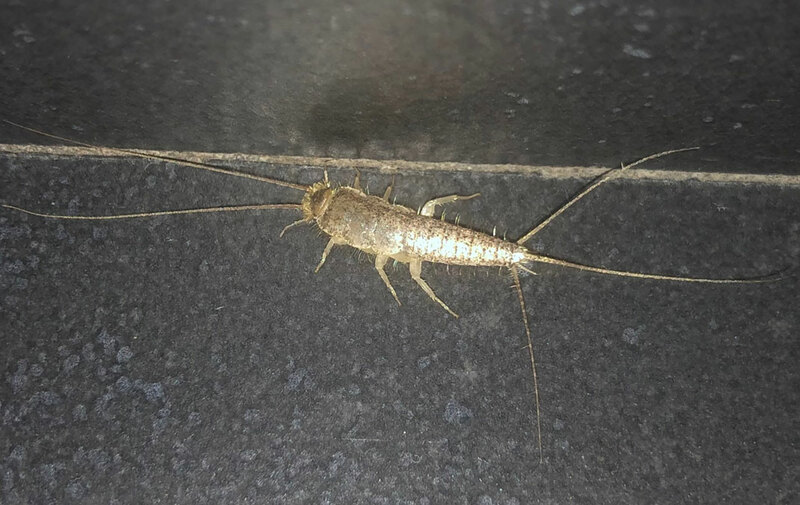 A new species of silverfish has now been found in Poland as well as the UK – is this an explanation for treatment difficulties, due to misidentification? Following a presentation by Dr Matthew Davies (Killgerm UK), at the Killgerm Poland workshop in Warsaw on the 27th March, interest was raised in the grey silverfish Ctenolepisma longicaudata and its potential to inhabit Poland. On the evening of 27th March, Killgerm member of staff, Vladimir Grekov, discovered a suspected Ctenolepisma longicaudata in an accommodation / restaurant facility in Wroclaw. The suspected C. longicaudata was then captured by Killgerm Poland’s technical specialist, Karol Boruta, and presented to Matthew Davies for confirmation of identification. This appears to be the first documented and confirmed identification of Ctenolepisma longicaudata in Poland, as no records are indicated in the literature. At the following Killgerm Poland workshop, in Wroclaw on the 28th March, two pest control technicians (from an audience of approximately 90) indicated to Matthew Davies that they had encountered C. longicaudata previously. One technician had seen suspected C. longicaudata two years ago. Although we present the first documented and confirmed case of C. longicaudata in Poland, it appears that this species has been present in Poland for some time according to anecdotal evidence. Killgerm is collaborating with Aston University PhD student Federica Boiocchi on a study of arthropods and the bacteria they carry in UK homes. Federica’s preliminary results show that pathogenic bacteria are carried by C. longicaudata in UK homes and further information will be communicated as the study progresses. Through trade, C. longicaudata is considered cosmopolitan in its distribution, as are the two other similar British species, the common silverfish and the firebrat. The grey silverfish has been recorded recently in Belgium and the Netherlands (Shoelitz and Brooks, 2014), as well as Germany, in a Prague warehouse and office in the Czech republic (Kulma et al., 2018), Poland (this report) and is thought to be under-recorded. Another interesting point about this species is that anecdotal evidence suggests C. longicaudata has been noted in the UK before but not confirmed reliably and can be associated with imported food products (Goddard et al., 2016). So it could have been around for longer than we realise. Error: Error validating access token: Session has expired on Sunday, 17-Feb-19 03:23:39 PST. The current time is Thursday, 18-Apr-19 21:25:08 PDT.